GATLINBURG, TN – The last thing a hiker wants to encounter is a haze of smog that diminishes the view from atop a picturesque vista. 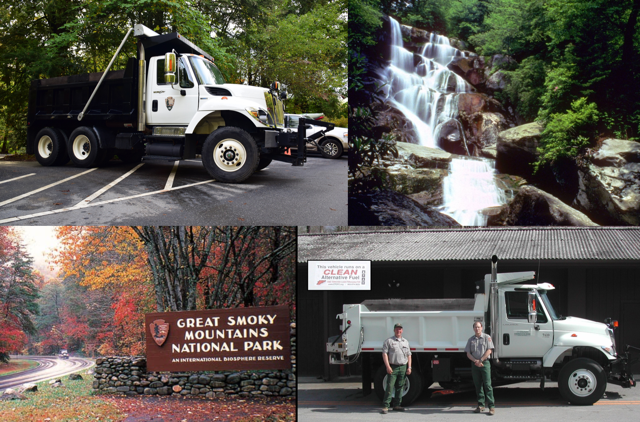 With more than 11 million visitors annually, Great Smoky Mountains National Park strives to maintain its pristine natural beauty by adopting practices that reduce the park’s environmental footprint. The trolley systems in the neighboring towns of Pigeon Forge and Gatlinburg, Tenn. also use B20. Gatlinburg's trolley fleet is the fifth-largest mass transit system in the state and has grown to 20-plus trolleys servicing approximately 50 miles of trolley routes. Great Smoky Mountains National Park, located in Eastern Tennessee and Western North Carolina, is a hikers’ paradise. Dedicated by Franklin D. Roosevelt on September 2, 1940, the park is world renowned for its diversity of plant and animal life, the beauty of its ancient mountains, and the quality of its remnants of Southern Appalachian mountain culture. These traits have made it America’s most visited national park. Made from an increasingly diverse mix of resources such as recycled cooking oil, soybean oil and animal fats, biodiesel is a renewable, clean-burning diesel replacement that can be used in existing diesel engines without modification. It is the first commercial-scale fuel produced across the U.S. to meet the EPA’s definition as an Advanced Biofuel - meaning the EPA has determined that biodiesel reduces greenhouse gas emissions by more than 50 percent when compared with petroleum diesel.